The First World War was one of the bloodiest conflicts ever historically recorded and one of the largest wars in the world. The "Great War" as it was known was partly responsible for massive political changes that have stood strong to this day and the courage of the soldiers on the Battlefields of WWI is well documented. 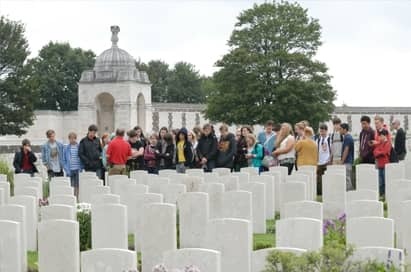 School trips to the WWI Battlefields will give your students a brilliant educational opportunity to really comprehend the events of 1914-1918 and even follow a personal story. 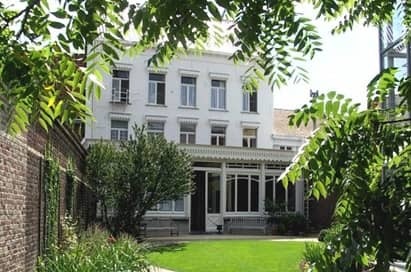 This educational tour will take you to some of the world’s most famous battle grounds, memorials and cemeteries in the Somme, Ypres and Verdun locations. This has been modernized. Audio-visual material has been introduced and the emphasis has become more reactive. Students are given tickets which enable them, for instance, to follow the history of a soldier, civilian or nurse in the Salient. Three ‘person-booths’ which are operated by the bar code on their ticket give the historical details. There are excellent and very detailed work sheets. Follow the medical evacuation route of the 48th South Midland division during the Third battle of Ypres. 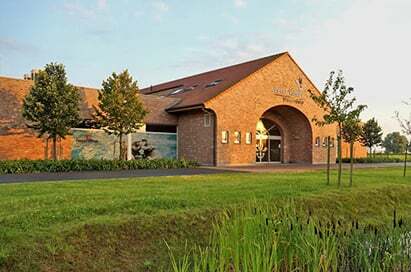 This tour run by In Flanders Fields Museum stops at Buffs Road cemetery, Gwalia farm (Main Dressing Station) and Mendinghem Cemetery (Casualty Clearing Station). Not every casualty followed this route to its end. Some returned to battle and some died before reaching the hospitals behind the lines. A great tour for understanding the scale of the medical operations of the war. An important and popular site. 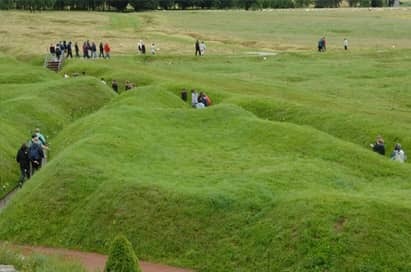 Besides a small museum, it contains an excellent example of first World War trenches complete with dugouts and communication trenches. 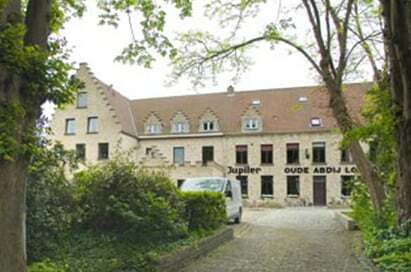 The museum is owned by the family Schier who have preserved this small part of the front more or less intact since 1919. 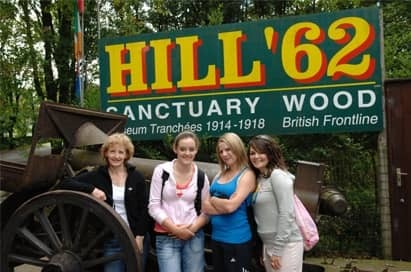 It is called Sanctuary Wood because in 1914 it was a quiet area where troops, cut off from their units, could be gathered together and eventually sent back to their corrects battalions. A very interesting and compact site which illustrates some important facts about the Ypres Salient and the fighting in it. 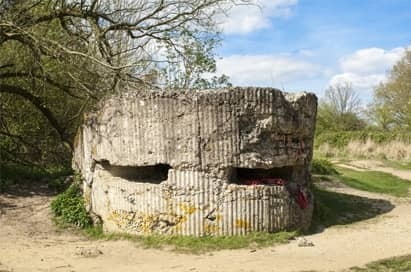 There is a German bunker, which British troops took over and added to. It was also used in the Second World War. The remains of the craters can be seen, which were the product of the work of tunnelling experts. The best preserved is Caterpillar Crater in private grounds across the railway line. 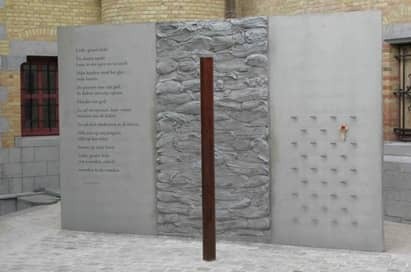 Facing the road is a memorial to the Australian tunnellers. The Last Post, the traditional final salute to the fallen, is played by the buglers in honour of the memory of the soldiers of the former British Empire and its allies, who died in the Ypres Salient during the First World War. It is the intention of the Last Post Association to maintain this daily act of homage in perpetuity. A very moving ceremony and often the highlight of a Battlefields tour. It consists of 80 acres of land purchased by the Government of Newfoundland after the end of the War to commemorate the attack of the Royal Newfoundland Regiment, which failed after sustaining nearly 800 casualties. As it is so clearly laid out you will probably find that it is the most useful battlefield site on the Somme for practical fieldwork. 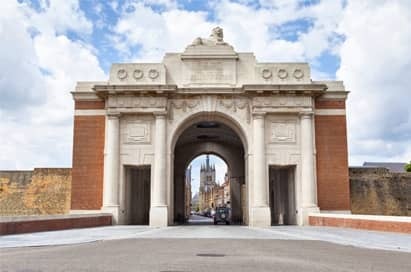 It opened in December 1915 and was the inspiration of the Reverend Neville Talbot who named it after his brother, Lieutenant Gilbert Talbot (who is buried in Sanctuary Wood Cemetery). He immediately set about making the house an oasis of peace and ‘normality’. He was so successful that after the War the Toc H (military signallers code for Talbot House) Movement was founded to help the unemployed and keep alive the ‘brotherhood of the trenches’. This is the largest British military cemetery in the world. 11,871 soldiers This is the largest British military cemetery in the world. 11,871 soldiers are buried here and at the further end there are panels registering the names of soldiers who have no known grave. The Cemetery is built on a ridge from which there is a good view over the Salient to Ypres in the distance. 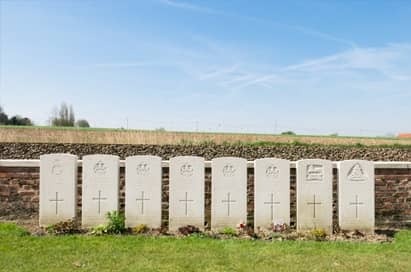 Its position therefore explains why it was so hard to seize and the advantages of occupying it.are buried here and at the further end there are panels registering the names of soldiers who have no known grave. The Cemetery is built on a ridge from which there is a good view over the Salient to Ypres in the distance. Its position therefore explains why it was so hard to seize and the advantages of occupying it. 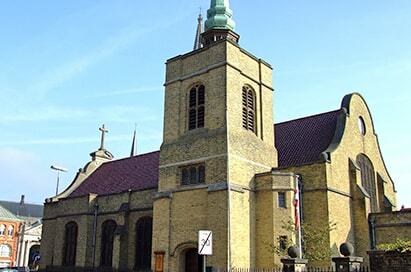 Poperinge was the forward base for the whole of the Ypres Salient and was therefore completely surrounded by training camps, depots and hospitals. 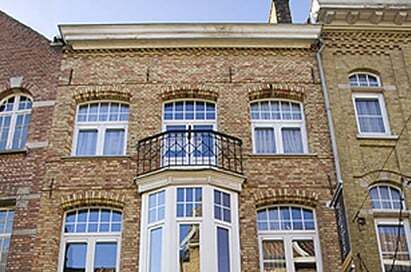 Many Belgian refugees from Ypres also tried to find shelter here. It was, too, the first place behind the lines where soldiers could find some form of relief from the horrors of life in the trenches. 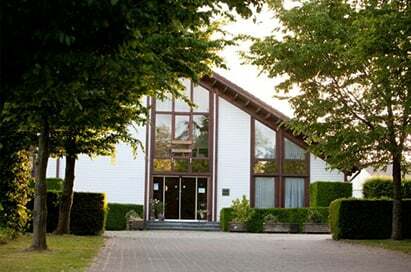 It was built in 1928-29 as a place of worship for the British colony in Ypres, most of which were employed by the Imperial Graves Commission. It is now a memorial to all those who died in the Salient. It is worth a visit only if time permits as it tells us more about the inter-war British colony in Ypres than it does the War. The itinerary was really well planned and was exactly what was asked for. It was really lovely to follow the story of one person throughout and this really helped to bring the battlefields alive for the students. Simon (our guide) was very knowledgeable and had a great understanding of student needs. The advice and support from Laura was fantastic and no question was ever an issue. I would recommend EST highly to all other organisations. Simon was wonderful with the students. He was flexible in the programme and we incorporated a couple of extra stops to visit graves and memorials of some of the old pupils of our school. The trip went like clockwork and there were no issues at all. I would have no hesitation in working with you again.